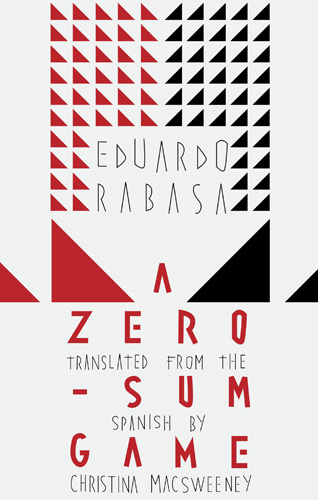 Move over George Orwell, Jonathan Swift, Candide and make room for Eduardo Rabasa, a young Mexican writer whose debut novel, A ZERO-SUM GAME, satirizes contemporary society in a savagely comic way that few can match. Published by Deep Vellum in a translation by Christina MacSweeney, the novel manages to sustain its all-out attack on consumerism and fake democracy from beginning to end. Perdumes goal is to alter the way life was lived in Villa Miserias in earlier days. He works craftily to take control of everyones thoughts, activities and fantasies, but in a mock-benevolent, seemingly-caring way. It is fascism with a smiley face. To summarize the sprawling, populous plot of A ZERO-SUM GAME would take pages. Suffice to say that the author dramatizes his main theme-man against powerin a fiercely intelligent, always-ironic way which provokes laughter and tears in equal amounts.